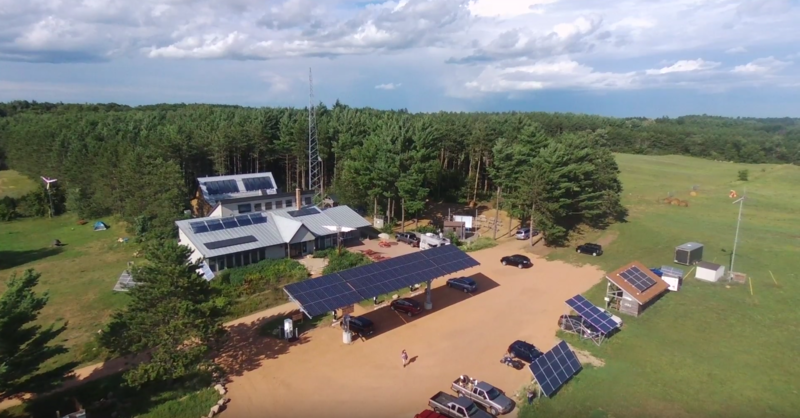 With generous support from MREA Members, donors, and partners, we achieved our Driving on Sunshine campaign goals and installed a new solar canopy and PV + EV Demonstration at our headquarters in Custer, WI. The solar canopy houses a variety of electric vehicle chargers open to the public year round—all powered by sunshine. View the MREA Solar Canopy Case Study here. View aerial footage of the structure courtesy of Poly-Tex.